Water at Risk Chair, Dr. Suvi Sojamo discusses the meaning of water security to business, managing water related risks and the actions Finnish companies should take to become better water stewards. Water security is becoming an issue no field of business can ignore. 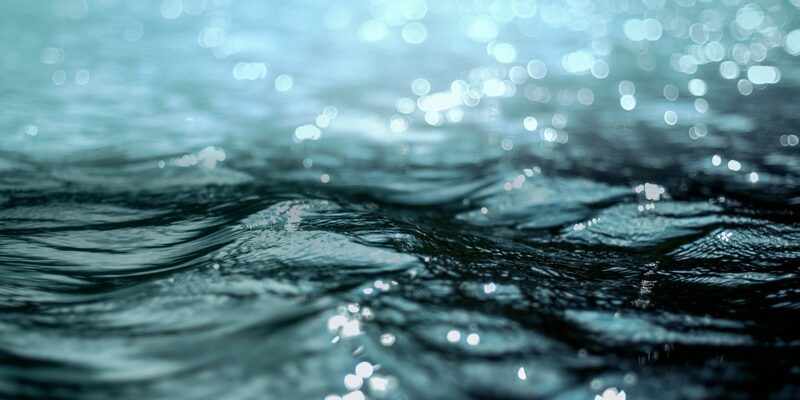 Though water has traditionally been considered to fall within the remit of technology companies and utilities, it matters greatly to companies that use it and have impact on it as well. A growing number of companies are developing more water-wise practices internationally. However, there’s still a lot to be done. A common definition for water security is the acceptable level of water related risks. The awareness of water risks has also been one of the key drivers that has sparked corporate engagement on water, says Dr. Suvi Sojamo, Postdoctoral Researcher at the Water and Development Research Group at Aalto University. Corporate water risks, or water risks to business, are generally categorized to physical, reputational, political and litigation risks which can all affect the financial bottom line. These can materialize at any point along the corporate supply and value chains. In order to cope with these risks the corporate world needs to collaborate with the rest of society. “Companies can’t manage their water risks alone because they’re not the only ones facing water related challenges. The challenges are shared with other water users and stakeholders. If an area suffers from water scarcity or its infrastructure is poor it doesn't matter if a company makes just internal improvements. To achieve water security you need joint water stewardship action”, Sojamo says. Taking climate action and disclosing performance is nowadays a pre-requisite to any company that aims to be sustainable. Same holds increasingly true for water. CDP, a non-profit that runs a global disclosure system for companies to manage their environmental impacts, has since 2015 put together a comprehensive ranking of corporate water performance. Only one Finnish company, Metsä Board, has made it to the CDP A-list to date. Sojamo finds it troubling that very few internationally operating Finnish companies have reported to CDP, partly because Finnish investors don't ask them to do so. No Finnish company has acquired water stewardship certifications either, which based on international standards would provide verified means to showcase good practices and results. According to CDP this is a common problem throughout the world: even though companies are increasingly aware of their water risks and the risks are materializing to them the companies are not moving fast enough in addressing them. So what could Finnish companies do better in practice? Water stewardship can start with improving water use efficiency and purfication at operation sites. However, investing in local infrastructure or ecosystem restoration might have an even bigger impact. Ensuring access to safe drinking water and sanitation to companies’ employees and their communities is crucial, as is guaranteeing that the livelihoods of local people are not adversely affected by the companies’ actions. Taking action on water might seem like a formidable challenge, but Sojamo emphasizes that companies do not have to do it alone, nor should they. “The public sector has the primary responsibility to ensure water security and sustainable and equitable use of water resources. NGOs can provide expertise and partnership in action. Consumers and investors should guide corporations by demanding water-wise practices. Us researchers can provide knowledge and act as facilitators in multi-stakeholder collaboration. After all, water is everybody’s business”, Sojamo concludes.